Hello! 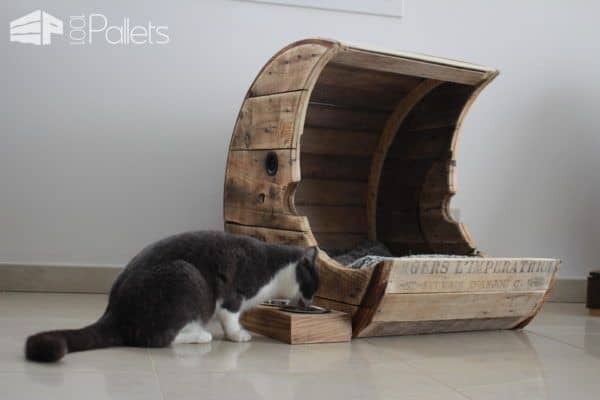 Check out my time-lapse video of our Pallet Moon Pet Bed! 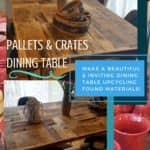 I used upcycled apple crates, but you can use pallet deck boards. Additionally, I used one wire spool in this upcycled project. I waxed the outside to treat it but used nothing else. 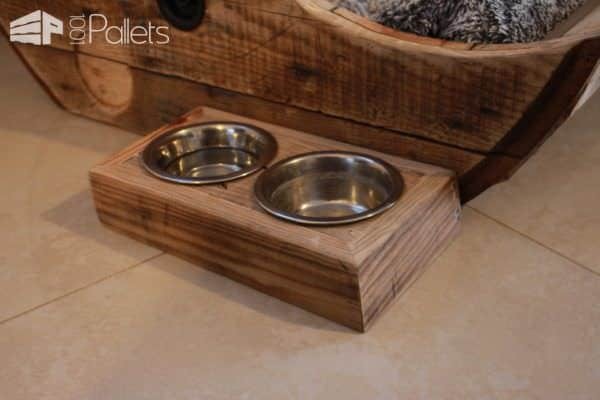 Build a pet feeding station with the leftover wood! 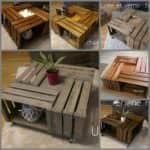 Build a Pallet Moon Pet Bed with pallets and a wire spool! If your furry pal is getting a little older, build them a raised pet feeder! Hello ! Comment fabriquer un panier LUNE pour Chien et Chat pour 0 EUROS ? Je partage avec vous la vidéo timelapse de ma dernière création. Full récup pour faire ce projet. Vous pouvez remplacer les lattes de caisses pommes par de la palette ( attention au type de traitement ). Je n'ai traité que la partie extérieur et mis de la cire . 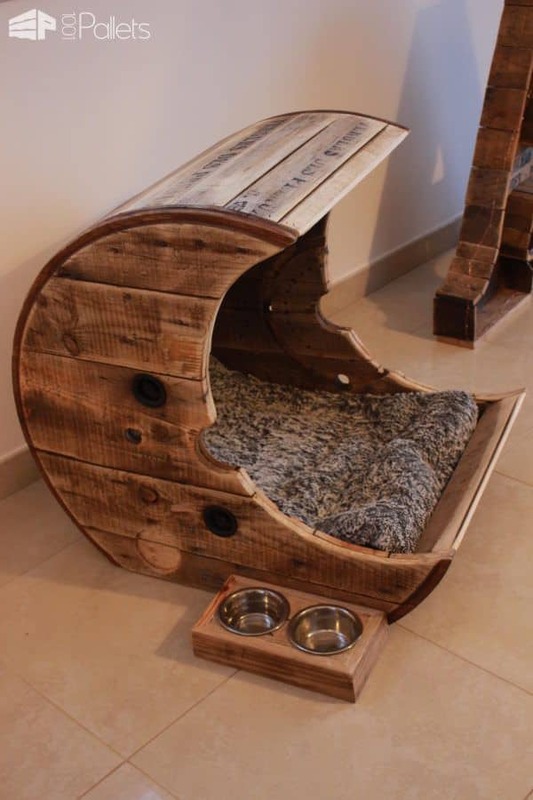 A pet bed worthy of your prince or princess. 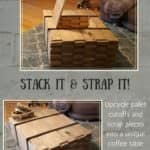 Wire spools create the sides, and I used apple crate slats, but you can use pallet wood as well. Sand the edges smooth to protect tender paws and little noses. 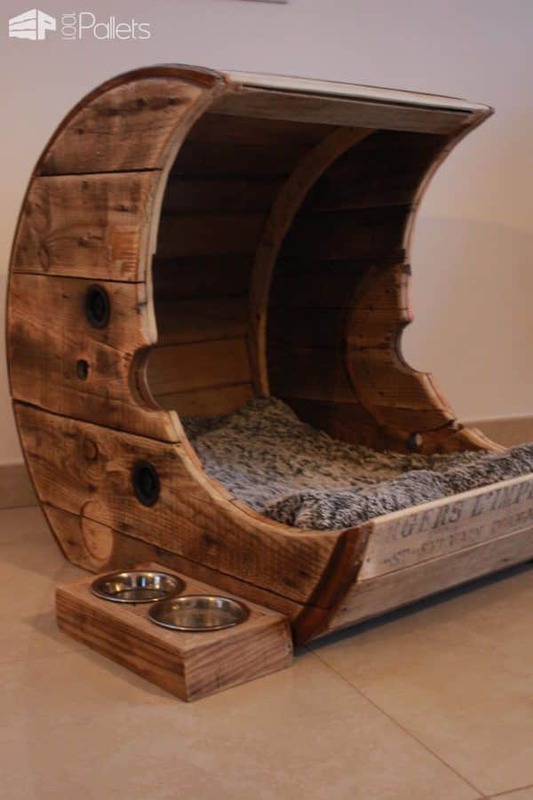 A pallet moon throne room for your pet! Anders sikker på zenta ønsker seg på hytta ??? Richard…. Lucy deserves a moon bed! !